I popped to the park this afternoon on way to pick up Ethan from nursery. 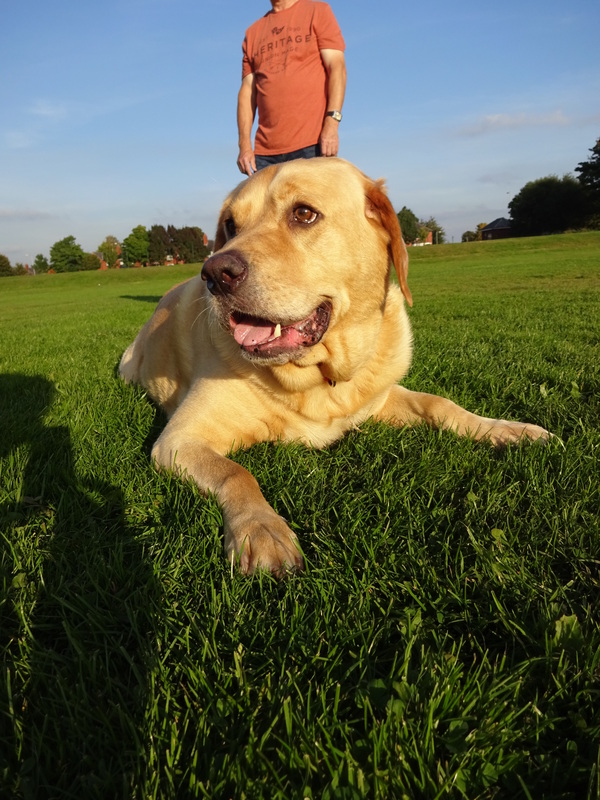 Despite the weather being beautiful it was pretty quiet in the park but then I spotted a Golden Labrador in the field. Ben is a lovely, friendly boy, he walked round me about 5 times when I first went over, making sure I was giving him lots of strokes! It was quite difficult to get a photo of Ben at first as he kept coming up to me for more strokes! Ben was enjoying playing with his golf ball whilst I was with him! Favourite food: Chicken! Ben loves food! Favourite toy: Ben will play with anything!